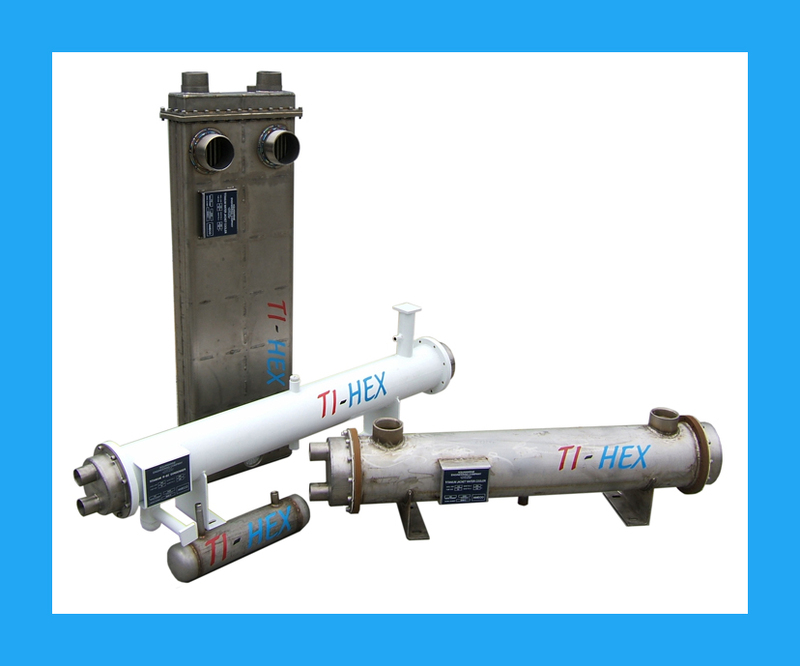 Home of Ti-Hex Titanium Heat Exchangers, Aquamarine Engineering Company designs and builds each unit to order. With units installed in more than 500 vessels in more than 20 countries world wide, Aquamarine Engineering has a proven product. 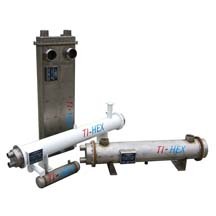 Ti-Hex heat exchangers are 100% titanium from the tube bundle to the tube sheets, and the water boxes. Tube bundles are TIG welded to the tubesheets using a smooth weld. This gives a 100% seal, impervious to sea water, non-corrosive and non-galvanic service with high dependability. No more “zincs” to change every few months; “zincs” are a thing of the past. Lower maintenance, longer service, less down time. With one of the new Ti-Hex rectangular heat exchangers you can take advantage of space-saving installations in any dimension. Mount it on a wall, stand it in a corner, or put it flat on its back on top of a rack. Cooling capacity of the Ti-Hex rectangular units is more than sufficient to cool a 1680 marine diesel engine.